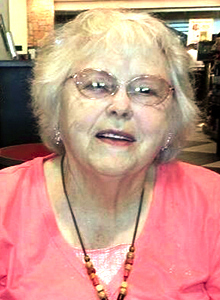 Graveside services are scheduled for 10 a.m. Saturday, March 24, at Woodbine Cemetery for Betty Ruth Ford of Artesia. Ford, 89, passed away Feb. 28, 2018, at Landsun Homes in Carlsbad. Betty was born April 26, 1928, in Uhrichsville, Ohio, the daughter of Samuel H. and Bessie (Briggs) Maple. On Feb. 9, 1946, she married Adrian Dean Ford in Uhrichsville, and the couple came to Artesia in 1952. Betty was a custodian at First United Methodist Church and an administrator of central supply at Artesia General Hospital. She was a member of First United Methodist Church and helped with ceramics at the Senior Center. Betty enjoyed quilting and canning. Survivors include son Tommy Ford and wife Brandi of Artesia; grandchildren Scott Ford and wife Angela, Heather Skramstad and husband Erik, Kelli Ford Cundari, Thomas Ford, Ricky Ford and Kristy Ford; nine great-grandchildren; three great-great-grandchildren; and several nieces and nephews. She was preceded in death by her husband, Adrian; sons Jimmy Ford and Ronnie Ford; five sisters; and seven brothers.